Greenlight can provide a uniquely curated selection of books for school book fairs. We work with each school on developing a title list appropriate for students’ reading levels, price range, and special interests. Greenlight’s staff has years of experience and finely honed expertise in serving Brooklyn’s diverse urban schools, and offers a uniquely local focus, along with feedback and suggested best practices for a successful book fair experience. Read on for more information, and use the link below to inquire about hosting a great book fair to your school. Q. I’m interested in scheduling a book fair! How do I get started? A. Email our school partnerships manager using the link at the bottom of this page to express your interest. If you know when you’d like to hold your fair or if you’d like your fair to focus on certain grades/ages or categories of books, you can include that information as well. Q. How far in advance should we schedule dates for our book fair? A. We schedule book fairs at least two months in advance. 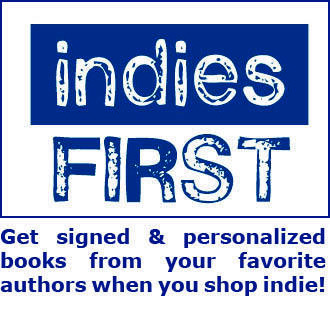 This gives us time to customize a title list based on your requests and make sure that all the books are available in plenty of time for the fair. Q. How long do successful book fairs last? A. We’ve coordinated book fairs that last anywhere from a single day to a full school week. The exact time frame is up to you, and we’re happy to help you figure out what would work best for your school. Q. How are book fairs connected to Greenlight author visits? A. Schools that schedule a book fair with Greenlight also get the option of working with us on author visits! This can be an exciting way to enrich your school's literacy programming and learn about new books. Please see our author visit info page for more details. Q.. Do we get to request books for our fair? A. Yes! We’re happy to take requests for titles, authors, or themes that you want represented at your fair. These requests might come from teachers or librarians, or they might be related to specific curricular themes or components of the school’s mission. We integrate your requests (along with other information you supply about your school) into a draft title list that also includes our recommendations for exciting new titles or perennial favorites that we think your school community will enjoy. The school has a chance to offer feedback on the title list before it’s finalized. While we can’t guarantee that we’ll be able to stock every book requested, we do our best to honor the school’s input whenever possible. We have a long history of customizing book fairs for Brooklyn’s diverse schools, and we’re proud to tailor every book fair to the school’s unique needs. Q. Can families donate books to the school through the book fair? A. Absolutely. Greenlight provides wish list forms for teachers to fill out ahead of the fair, and the school can use those forms at the fair to encourage families to buy books for donation to the school. Q. Does Greenlight donate a portion of book fair sales to the school? A. Yes, we contribute a portion of all book fair sales back to the school. After the fair, we donate either 25% of sales as a Greenlight gift card or 20% of sales as a check, whichever the school chooses. Q. Does Greenlight deliver book fair books to the school? A. Yes, we’re glad to deliver the books for your fair and pick remaining books up afterward for a fee ($40 within Brooklyn, $50 for other boroughs) deducted from the school’s post-fair donation. Alternatively, the school can pick up and drop off books at our 632 Flatbush Avenue location. Q. How do we process sales during the fair? Does Greenlight help with this? A. Our standard book fair model specifies that the school is responsible for setting up books at the fair and processing all sales. The school takes payment any way it chooses (cash, credit card, PayPal, check, etc.) and then reimburses Greenlight in one payment for the books sold. Upon request, Greenlight can also provide one or more knowledgeable booksellers on the day of the fair to facilitate sales and assist with organization. Please contact us if you are interested in discussing this option. A. Yes! We can create a dedicated web ordering page for your school’s book fair. (Click here for an example.) All books purchased via web order will be delivered to the school for distribution at the book fair. Web orders are a great way to give family and friends who might not be able to make it to the fair in person a chance to purchase books for their students. Q. Does Greenlight offer supplemental materials to help us publicize and organize our fair? A. Yes, Greenlight provides digital flyers and signage for the school to post and distribute. We can also supply book display stands upon request, and we always include some fun book- themed freebies for giveaway at the fair.